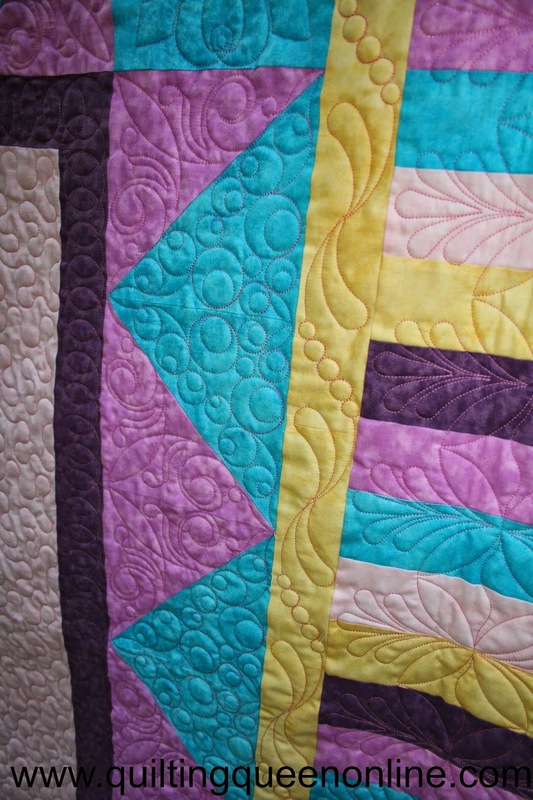 Ok, are you ready for more pictures of some quilts I've been quilting. 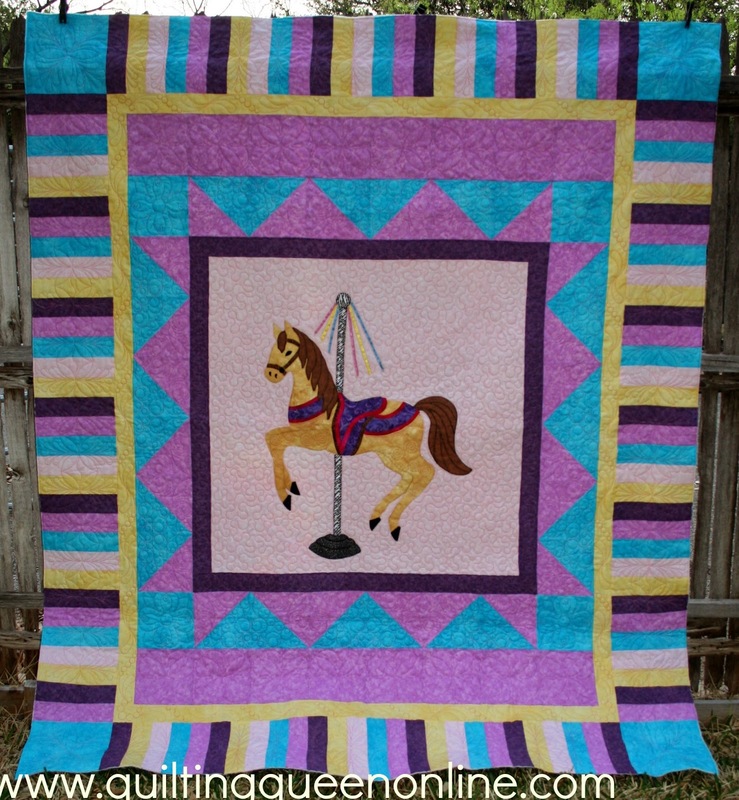 Loraine made this adorable carousel horse quilt for her niece who is 4 years old. She says she calls the Carousel the "horsey go round". How cute is that? 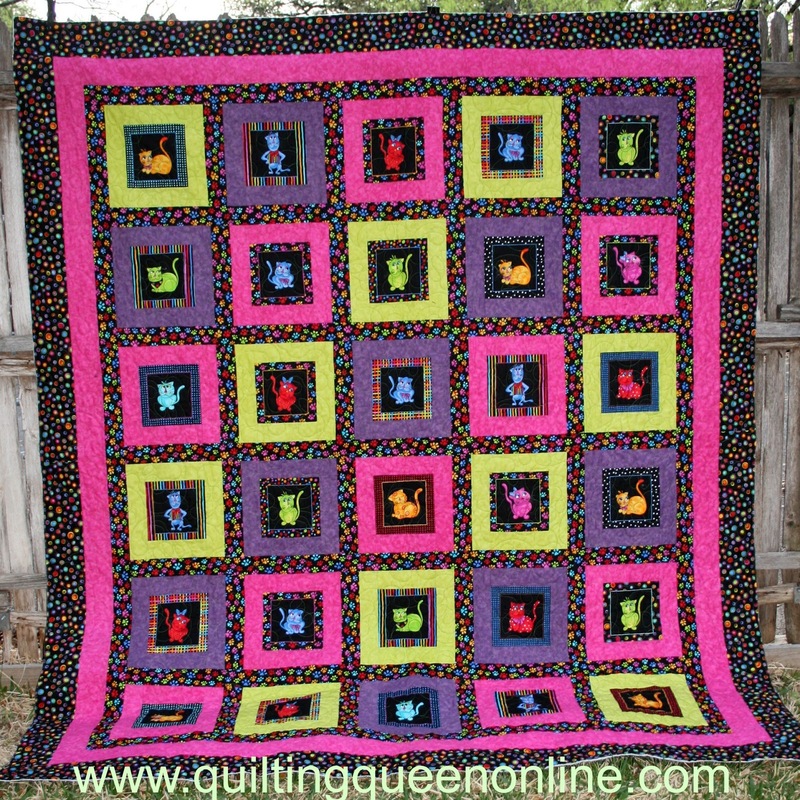 Loraine also made this fun, bright, happy quilt. I don't know what Loraine is calling it but I'm calling it "Sassy Cats". It is just too cute and I don't even like cats. 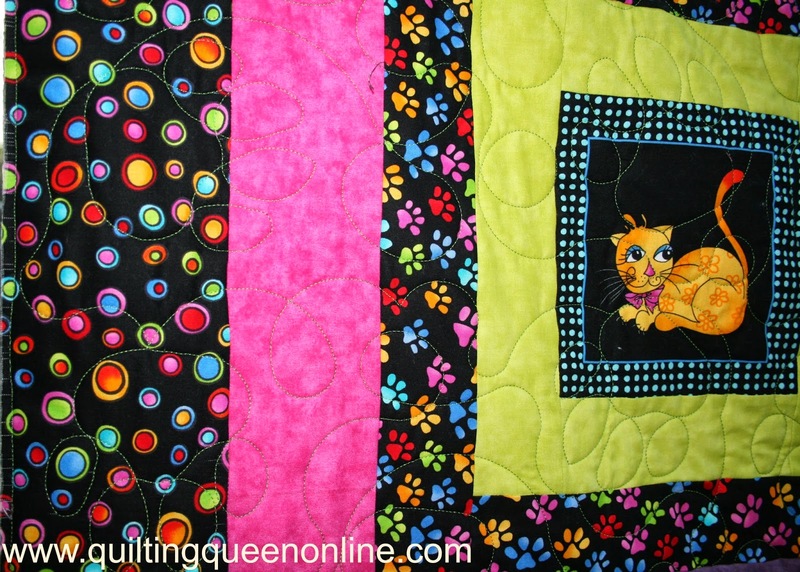 I quilted paw prints edge to edge on it in Glide Neon Green thread. 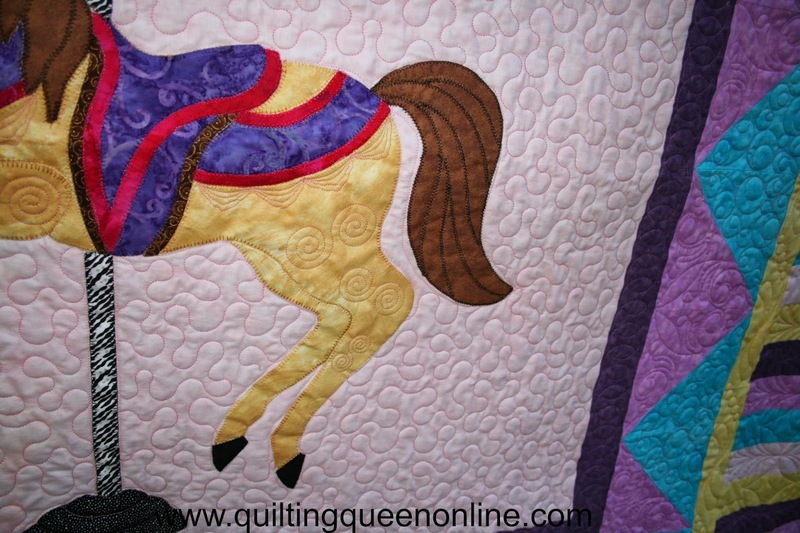 Don't you just love the back of the quilt? Those cat eyes and whiskers peering through the black darkness. Just perfect! 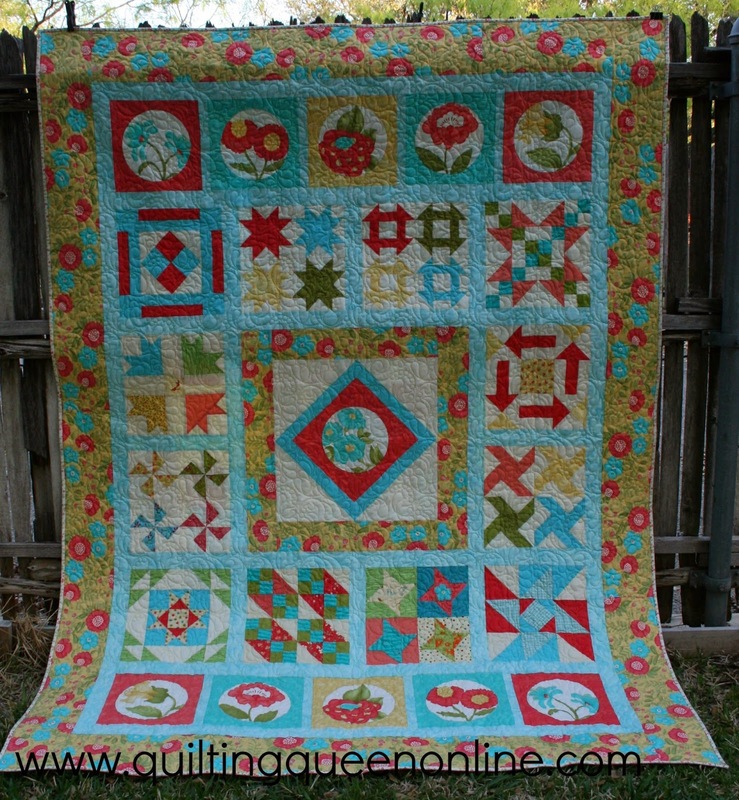 Pauline made this quilt for a beginning quilting class she was teaching. 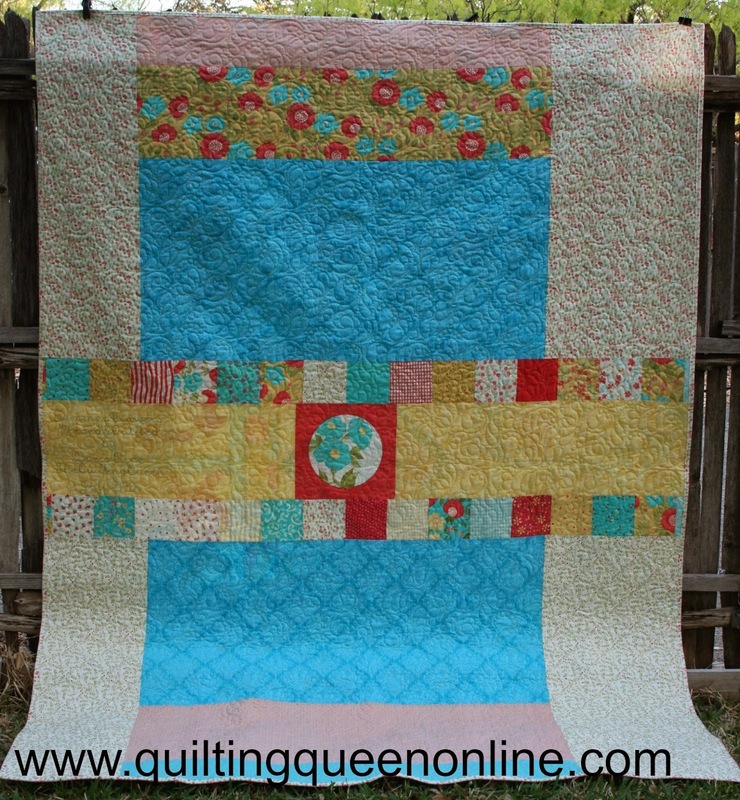 It's a super easy pattern called Ashley's Journey by Pieces of Pie. 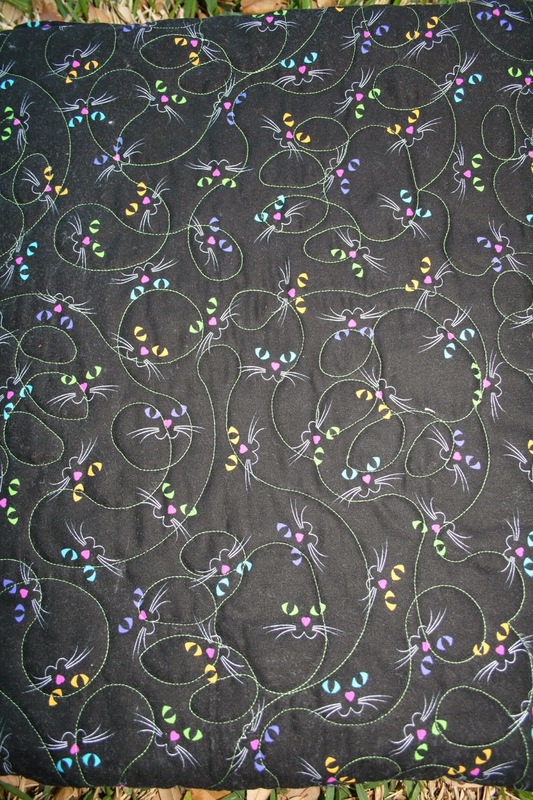 It uses a layer cake and some border fabric. Of course you know I'd like this one a lot because it's red, white, and blue! I quilted the pattern R & R Nested E2E with cream colored thread. It is one of my favorite patterns to use. I love her backing too. This one belongs to me! Are you shocked!!!???? 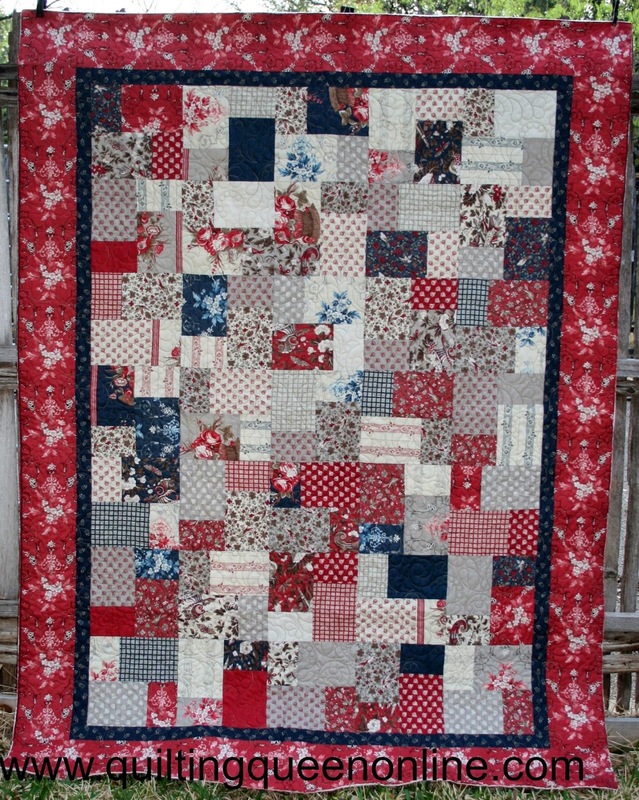 I entered it in the Heart of Texas Quilt show that is coming up next week so I had to get it quilted. I made this two years ago as a Block of the Month Challenge for an online club I belong to to. I used a panel fabric I purchased to coordinate with the fabric for the blocks. I did get 2nd place and a $50 gift certificate. I told you one of my favorite patterns was the R & R Nested Edge to Edge. I used it on this one too. And here is the back. I tried to use up all my scraps but I still have a little bit left over. I didn't want it to look too hodge podge! 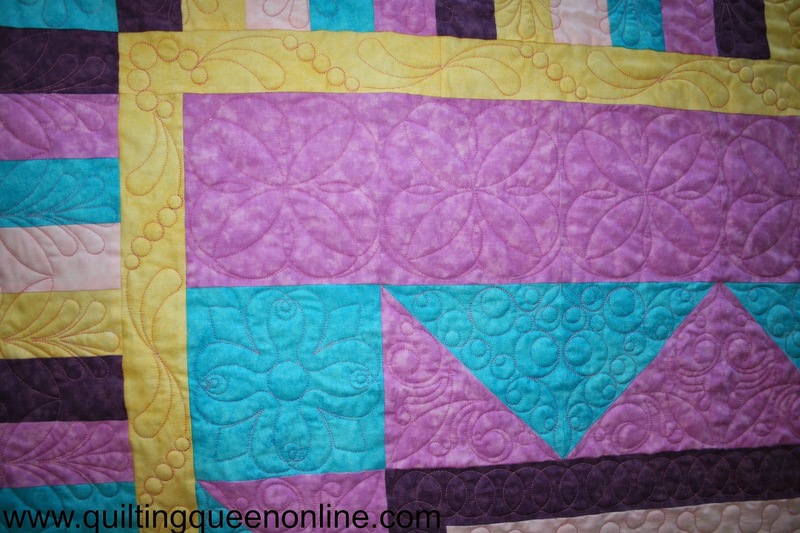 And yes, there will be more photos of other quilting. I can't post them until after Saturday as I don't like to post photos until after the customer sees the quilt. 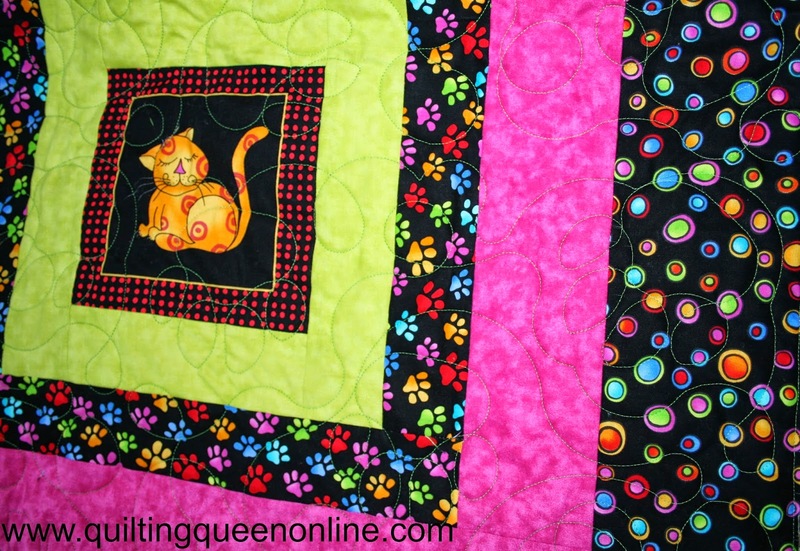 Lovely quilts and quilting!! You have been busy!!! 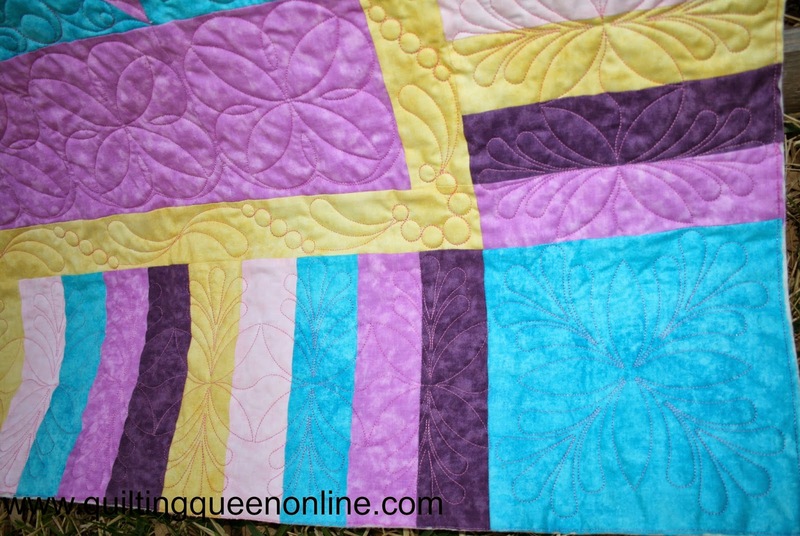 Beautiful quilting ! I love the kitty paws you put on the kitty quilt ! very smart ! Can't wait to see all of your entries...the backs are always a work of art too !